We are pleased to announce the 10 Semi-Finalists of the CANYON//SRAM Racing | Zwift Academy! More than 4,900 women participated — a new record — and choosing these 10 was tough. There’s so much talent and passion in our community! Tanja Erath is the winner of the 2017 Zwift Academy. Hailing from Dortmund, Germany this former triathlete was working as a nurse then left to go back to school and just completed an advanced medical degree this past summer. She fell in love with fixed gear crit racing, got on the podium at Red Hook Crit in 2017, and is now a member of Canyon//SRAM. 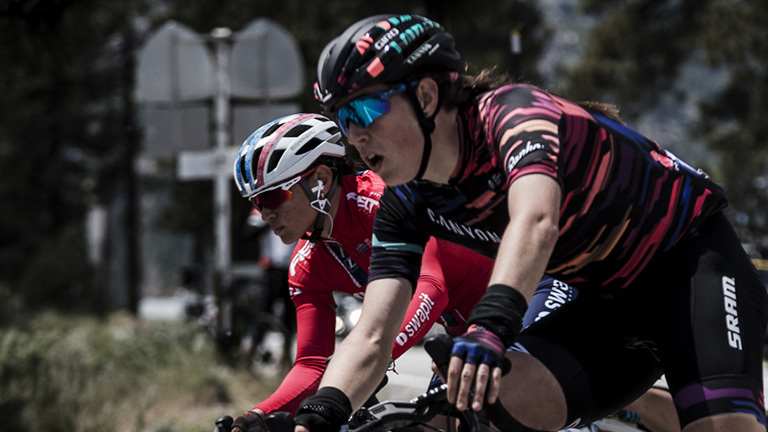 Leah Thorvilson was the winner of inaugural Zwift Academy beating 1,200 other competitors on her way to winning a pro contract with the CANYON//SRAM Racing Team for the 2017 season. The team renewed her contract for 2018. A former long distance runner, Thorvilson qualified to run in the US Olympic Team Marathon Trials. The Qualifying period begins on August 6, 2018 and ends on September 30th, 2018. The Semi-Finals run from October 15 - 28, 2018. The Finals for Team Dimension Data Zwift Academy will be held in mid-November at the Team Dimension Data training camp. 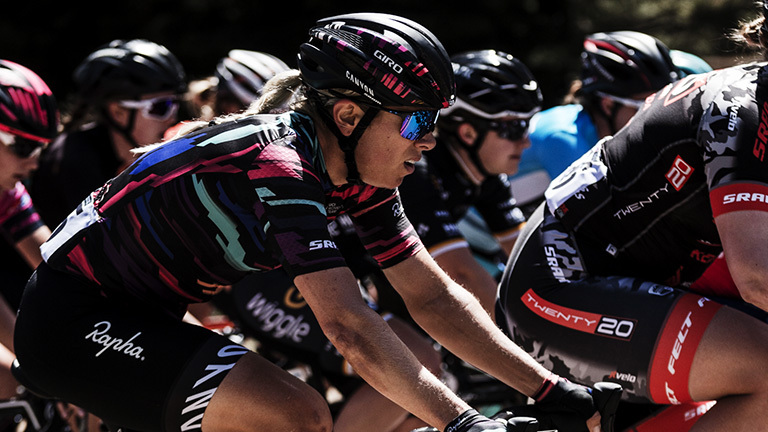 The Finals for CANYON//SRAM Racing Zwift Academy will be held early/mid-December at the CANYON//SRAM Racing training camp. To graduate the Academy, complete the program’s 10 structured workouts, 4 group rides and 2 races between August 6th and September 30th. You’ll find the workouts in a folder called Zwift Academy 2018 on your workout menu screen. Group rides and races must specifically be designated ‘Zwift Academy’ to count towards your graduation. We recommend that you start the Academy with an accurate FTP (Functional Threshold Power) number to ensure the best results from your structured training. 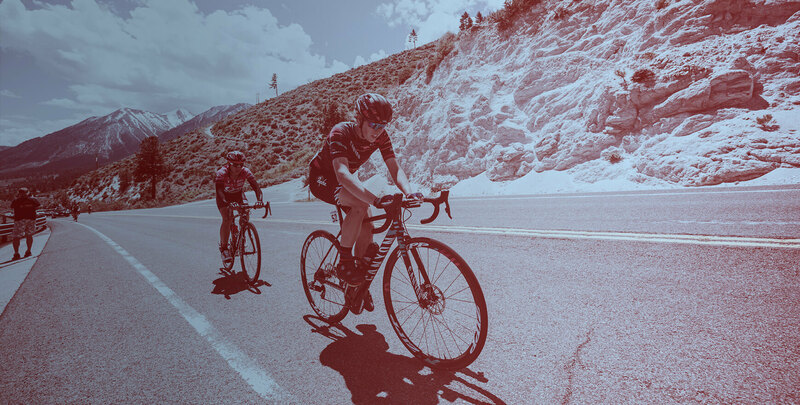 To find your FTP, you can do the FTP test from the workout menu, join a pre-Zwift Academy FTP Ramp-up ride, join a race or climb up the epic KOM as hard as you can. All of these options will give you a good reading of your FTP.